If you think makeup trends are only about colour, think again. Facial features, too, fall in and out of fashion—and the ’00s craze for plump, Angelina Jolie-style lips has shifted to an obsession with longer, darker, thicker lashes (just ask the Kardashians). The appeal isn’t hard to explain, says Anna Nenoiu, a makeup and hair artist with Page One Management in Toronto. A-listers, of course, have always known this. Twiggy, Sophia Loren and Elizabeth Taylor were all famous for their fluttery fringes, and Nenoiu asserts that no modern starlet, from Katy Perry to Gwyneth Paltrow, would dare grace a red carpet without a set of extensions or at least falsies. Faux lashes are not only fueling the growth of a $1-billion eyelash-enhancing business, but their sales have also steadily climbed while other cosmetic categories have been flat. Although much improved, the glue- on technique is not new. It dates back to about 1916, when the film director D.W. Griffith commissioned a wigmaker to fashion the first pair of false lashes from human hair and gummed them to leading lady Seena Owen’s eyelids. Today, there’s a dizzying array of lash choices: various shapes, shapes, lengths, colours, adhesions and embellishments (think rhinestones and feathers that would be on Lady Gaga’s beauty counter), not to mention the longer-lasting option of extensions. A set of the latter runs from $75 to $200 and can take two hours to be professionally applied. But with proper care, they can boost your blink for up to two months. Once reserved for special occasions, “for a huge number of our clients, they’ve become a part of their regi- men, like getting their hair or nails done,” says Lexi Boyd, a lash extension technician and manager at Noir Lash Lounge in Vancouver. Lash-enhancing serums are another way to give your eye area a boost. If you can’t splurge on Latisse—the prescription prostaglandin treatment that promises longer, fuller lashes within 16 weeks—there are dozens of over-the-counter choices that condition and fortify for a potentially fuller look. One of the most exciting is from science-driven skincare brand Prevage. Not only does its Prevage Clinical Lash and Brow Enhancing Serum contain pro-vitamin B5 to prevent breakage and vitamins A, C and E to protect against environmental aggression, it also features an ingredient you’re probably more used to seeing in your moisturizer. “We use a clinically proven peptide,” says Aurelie Felix, a senior scientist for Elizabeth Arden. “It enhances the hair follicles in order to extend the growth phase of the lashes’ life cycle.” The best part? No scary side effects like eyelid irritation. Look for similar peptide-based products from Indeed Labs and Mary Kay. Although newly engineered brush shapes are partially to thank for the improved performance, the formulas have also changed, says Deb Coleman Nally, research and innovation director for Maybelline New York (the brand’s latest offering, The Rocket, launches in January). 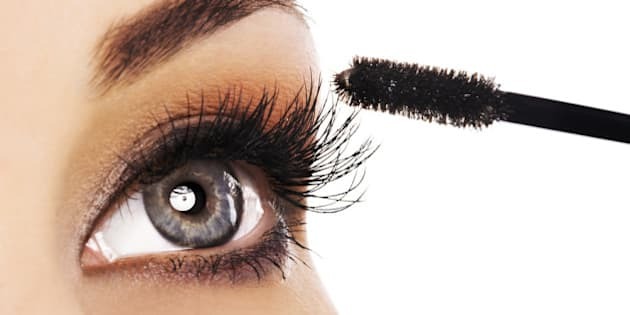 Other notable newcomers are focusing on wand wizardry, including CoverGirl’s Clump Crusher, Guerlain’s Maxi Lash (available January 15) and Givenchy’s Noir Couture. So what’s next in the quest for a Bambi-like fringe? Colour. “State-of-the-art ingredients are enabling us to achieve bright, intense shades,” says Coleman Nally, “So it’s going to be a huge trend.” Look out, lashes! Pan Am starlet is the new face of Marcelle—she’s Canadian too!